Whittell junior Zack Johns scores a basket earlier this season. 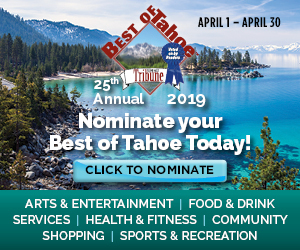 Incline’s Laim Nolan-Bowers and South Tahoe’s Cameron Johnson were also nominated. Zack Johns defends like his life depends on it. The Whittell junior is fast and harasses opposing ball handlers to no end. He has quick feet and leads the Warriors squeaky shoe symphony when they are using their full court press. He’s here, over there, runs over to the other side of the court and then, if the opponents get the ball into the offensive zone, he hounds guards on the perimeter. 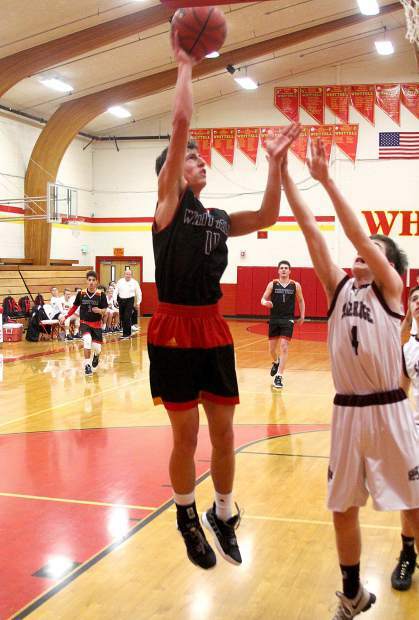 “He is one of the best off-ball defenders I have ever had,” said Whittell head coach Phil Bryant. That’s coming from someone who has been coaching basketball players for over 40 years. “He is extremely quick, was our leader in steals and led the league in steals as well,” Bryant said. For his effort, Johns is the Tribune’s January Student-Athlete of the Month. Johns was a big part of the Whittell full-court press. His defensive effort helped kickstart the offense, of which he was the third leading scorer. 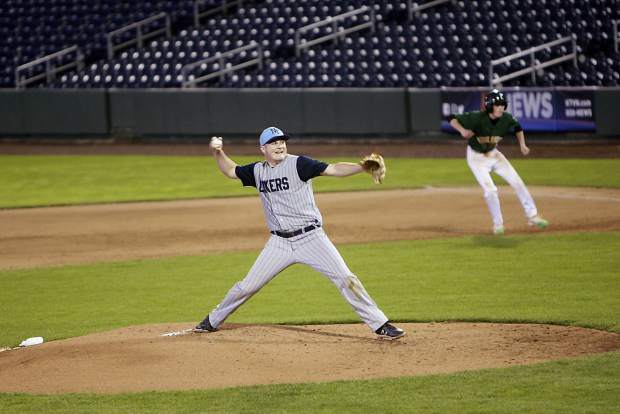 Johns’ quick feet and defensive excellence came from years of training as a child. That’s about the age he started playing basketball in recreation leagues at Kahle Community Center. He grew up to love the sport. Johns helped the Warriors claim the No. 2 spot out of the 1A West League and contributed to a January where the Warriors lost just one game. He averaged 12.5 points, 3.3 rebounds and 3.8 steals per game. Whittell won its first-round playoff game before being knocked in the semifinals. Bryant expects Johns to be a team captain and leader in his senior season. Johns would like to play hoops in college, but fears his size will limit his chances, but that’s not going to stop him from trying. When he does choose a college, he plans to follow in his father’s footsteps and study electrical engineering. His father has taught him how to cook and he’s also taken four years of culinary training. 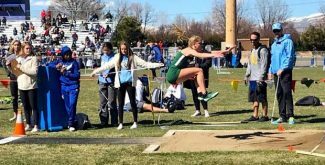 He also attends school with his older sister, Brianna, who was a Tribune nominee for female student-athlete of the month. The family discussion over the past few months has mostly been about basketball. “Almost every night at the dinner table the conversation would be dominated by basketball, especially after game nights,” Johns said. Johns, who was born at Barton Memorial Hospital, also has many other interests, like playing golf, cooking and boating and jet skiing. He also enjoys skiing but hasn’t bought a pass in the last couple of years. He first picked up a golf club at age 4 and will play on the Warriors team this spring — weather and snow permitting. The golf season is likely going to be played out of the basin due to feet of snow sitting on all the Tahoe courses. 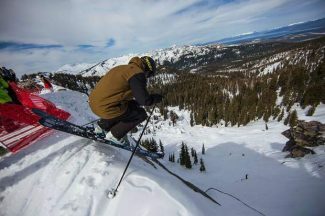 Johns said this year is the biggest snow season he’s ever seen.